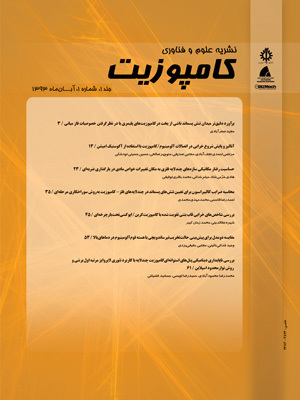 در این مقاله رفتار فشاری سازه‌های مخروط ناقص مشبک کامپوزیتی با و بدون نانولوله‌ کربنی به عنوان تقویت کننده، به روش تجربی و شبیه‌سازی عددی مورد بررسی قرار گرفت. نمونه‌های کامپوزیتی از جنس شیشه/اپوکسی بدون نانولوله کربنی و تقویت شده با 2% وزنی نانولوله کربنی به روش پیچش الیاف ساخته شد و مورد آزمایش نیروی محوری فشاری قرار گرفت. همچنین مدلسازی مخروط ناقص مشبک کامپوزیتی و شبیه‌سازی عددی در نرم افزار آباکوس انجام پذیرفت و نتایج نیروی فشاری-جابجایی محوری با نتایج آزمایشگاهی مقایسه گردید و تطابق خوبی حاصل شد. در شبیه‌سازی عددی، برای اختصاص دادن خواص ماده نانوکامپوزیت، از مدل هالپین-سای اصلاح شده استفاده شد. تاثیر کسر حجمی نانولوله کربنی و همچنین ضرایب پراکندگی نانولوله‌ها در داخل رزین اپوکسی، به کمک تحلیل اجزاء محدود بررسی شد. نتایج نشان داد که افزودن 2% وزنی نانولوله کربنی به رزین اپوکسی در حین ساخت، نیروی قابل تحمل بیشینه را حدود 44% افزایش می‌دهد. این در حالی است که با افزایش کسر حجمی نانولوله بالاتر از 2% وزنی، به دلیل کاهش کیفیت پراکندگی و کلوخه‌ای شدن و غیر یکنواختی توزیع نانولوله درون رزین اپوکسی، حداکثر نیروی قابل تحمل سازه کاهش می‌یابد. In the present paper the compressive behavior of composite lattice truncated cone reinforced with and without carbon nanotube (CNT) is investigated using experimental and numerical simulation methods. Composite lattice truncated cone samples, made of glass/epoxy without CNT and reinforced with 2% wt. CNT are fabricated using filament winding process and tested under compressive axial force. Moreover, modeling of the structure is performed and numerical simulation is achieved using commercial finite element ABAQUS software and the results of compressive force vs. axial displacement are verified by the experimental data and good agreement is observed. Halpin-Tsai micromechanics model is also utilized in order to calculate the nanocomposite material properties and assigned in the numerical simulation. The effects of CNT weight percentage and coefficients of CNT dispersion within the epoxy resin matrix are investigated using numerical simulation method. The results showed that addition of CNT by 2% wt. to the epoxy resin of the composite lattice conical structure, enhanced the maximum carried compressive force by 44%. While addition of CNT more than 2% wt. causes the compressive strength to be decreased due to less dispersion quality and agglomeration and non-uniform dispersion of the CNTs within the epoxy resin. Vasiliev, V. V., Barynin, V. A. and Rasin, A. F., “Anisogrid Lattice Structures–Survey of Development and Application,” Composite structures, Vol. 54, No. 2, pp. 361-370, 2001. Vasiliev, V. V., “Anisogrid Composite Lattice Structure for Spacecraft and Aircraft Application,” Composite Structures, Vol. 76, No. 4, pp. 182-189, 2006. Bisagni, C. and Cordisco, P., “Post-Buckling and Collapse Experiments of Stiffened Composite Cylindrical Shells Subjected to Axial Loading and Torque,” Composite structures, Vol. 73, No. 2, pp. 138-149, 2006. Morozov, E. V., Lopatin, A. V. and Nesterov, V. A., “Buckling Analysis and Design of Anisogrid Composite Lattice Conical Shells,” Composite Structures, Vol. 93, No. 12, pp. 3150-3162, 2011. Ambur, D. R. and Jaunky, N., “Optimal Design of Grid-Stiffened Panels and Shells with Variable Curvature,” Composite Structures, Vol. 52, No. 2, pp. 173-180, 2001. Rahimi, G. H., M. Zandi, and S. F. Rasouli., "Analysis of the effect of stiffener profile on buckling strength in composite isogrid stiffened shell under axial loading," Aerospace science and technology, Vol. 24, No.1, pp. 198-203, 2013. Totaro, G., "Local buckling modelling of isogrid and anisogrid lattice cylindrical shells with triangular cells," Composite structures, Vol. 94, No. 2, pp. 446-452, 2012. Totaro, G., "Local buckling modelling of isogrid and anisogrid lattice cylindrical shells with hexagonal cells," Composite Structures, Vol. 95, No. 1, pp. 403-410, 2013. Lopatin, A. V., Morozov, E. V. and Shatov, A. V. , "Buckling of uniaxially compressed composite anisogrid lattice plate with clamped edges," Composite Structures, Vol. 157, No. 1, pp. 187-196, 2016. Zheng, Q., Jiang, D., Huang, C., Shang, X. and Ju, S., "Analysis of failure loads and optimal design of composite lattice cylinder under axial compression," Composite Structures, Vol. 131, No. 1, pp. 885-894, 2015. Sui, Q., Hualin, F. and Changliang, L., "Failure analysis of 1D lattice truss composite structure in uniaxial compression," Composites Science and Technology, Vol. 118, No. 1, pp. 207-216, 2015. Chen, M., Zhu, X., Lei, H., Chen, H., & Fang, D., "Effect of defect on the compressive response of sandwich structures with carbon fiber pyramidal truss cores," International Journal of Applied Mechanics, Vol. 7, No. 1, 1550004, 2015. Jishi, H. Z., Umer, R. and Cantwell, W. j., "The fabrication and mechanical properties of novel composite lattice structures," Materials & Design, Vol. 91, No. 1, pp. 286-293, 2016. Afrooz, I. E., Öchsner, A. and Rahmandoust, M., “Effects of The Carbon Nanotube Distribution On The Macroscopic Stiffness of Composite Materials,” Computational Materials Science, Vol. 51, No. 1, pp. 422-429, 2012. Fereidoon, A., Rajabpour, M. and Hemmatian, H., “Fracture Analysis of Epoxy/SWCNT Nanocomposite Based on Global–Local Finite Element Model,” Composites Part B: Engineering, Vol. 54, No. 1, pp. 400-408, 2013. Shokrieh, M. M. and Rafiee, R., “Prediction of Mechanical Properties of An Embedded Carbon Nanotube in Polymer Matrix Based on Developing An Equivalent Long Fiber,” Mechanics Research Communications, Vol. 37, No. 2, pp. 235-240, 2010. Shokrieh, M. M. and Rafiee, R., “Stochastic Multi-Scale Modeling of CNT/Polymer Composites,” Computational Materials Science, Vol. 50, No. 2, pp. 437-446, 2010. Montazeri, A., Javadpour, J., Khavandi, A., Tcharkhtchi, A. and Mohajeri, A., “Mechanical Properties of Multi-Walled Carbon Nanotube/Epoxy Composites,” Materials & Design, Vol. 31, No. 9, pp. 4202-4208, 2010. Zhang, W., Suhr, J. and Koratkar, N. A., "Observation of high buckling stability in carbon nanotube polymer composites," Advanced Materials, Vol. 18, No. 4, pp. 452-456, 2006. Shokrieh, M. M., Saeedi, A. and Chitsazzadeh, M., "Evaluating the effects of multi-walled carbon nanotubes on the mechanical properties of chopped strand mat/polyester composites," Materials & Design, Vol. 56, No. 1, pp. 274-279, 2014.